Please note: This giveaway is now closed. The winner will be announced this week. But feel free to scroll down and check out any of these resources. They are incredible for helping you plan your year!! I’ve got an incredible giveaway for you this week! I love December with all it’s twinkling lights, the focus on our savior, family time spent around the fire…and planning for the next year. I get really excited thinking about the possibilities for next year, setting goals, and setting my word for the year (I’m announcing it soon). So I decided in celebration of all the planning, that I would do this awesome planning bundle giveaway worth over $120! Plus, find 14 other incredible giveaways going on this week. See all the details below. I’ve put together an incredible giveaway with a 2017 planner, traveler’s notebook, and more! See all the details below. But before you jump in and enter to win, I want to make sure you know about these other 14 giveaways from some of my very favorite bloggers. To see each gift up close, and to enter to win, visit each site to fill out the entry forms. It’s possible you could win more than ONE! When you visit each blog take a look around. This is a great list of amazing bloggers and I know you’ll love each one of them. Have you seen these kits from Dayspring? I just got my first one this month and they are so much fun! It’s essentially a pack of Bible journaling accessories that you can use in your Bible, for creating a prayer notebook, to make cards, and so much more. If you are interested in Bible journaling, then you need to check out these devo kits. Such a fun idea! (PLUS you can use it to fill out your new Calendar, planner, and traveler’s notebook. These are so fun! The Illustrated Faith line has these super fun die cuts that you can use in your Bible journaling, for making cards, a prayer notebook, or more. I think these would also be really fun to use in scrapbooking. As part of this giveaway, you will enter to win the encouragement set and the pop culture set. How amazing is this bag? You can tote around all your Bible journaling accessories in this cute bag. If you are looking for a planner for next year, here’s a perfect one! I didn’t even know that Illustrated Faith made an agenda but after ordering one, I’m hooked! It’s filled with Scripture and encouragement throughout. Plus it’s cute enough to use without decorating at all, or put your Bible journaling and scrapbook skills to good use. This is another new treasure that I just discovered! I ordered one for myself and am already in love. I’m going to hang it up right next to my desk. My absolute newest and favorite obsession is my traveler’s notebook. I have a Color Crush edition but I about fell out of my seat when I found out that Illustrated Faith as their own version! This giveaway includes one notebook and you can then fill in as many notebooks as you want. I’ve never seen a traveler’s notebook that’s so cute! Enter to win via the rafflecopter form below! And don’t worry, we will double check all entries to make sure a real entry wins! Click on the links below to learn more about the bloggers! Mommy Hates Cooking is a national cooking and lifestyle website that encourages families to take back the dinner table. Through her easy-to-prepare (yet looks like you spent all day in the kitchen) meals and her knack for breaking down meal planning, Kristy has become the busy-mom’s resource for the modern family. Laura Coppinger and her husband have four sons ages 11-19. HeavenlyHomemakers.com is dedicated to inspiring women daily with healthy (and easy!) recipes, homemaking tips, spiritual encouragement, and good ol’ clean fun. Intoxicated on Life is a blog about raising strong families – body, mind, and soul. We believe, with the right education, busy moms can be equipped to make small changes one step at a time, transforming the life and health of her family. Join us on a journey as we raise holistically healthy children: nurturing their bodies, cultivating their minds, and inspiring their souls! Jenna Braddock is a registered dietitian nutritionist, football coach’s wife, mom of boys, and entrepreneur. At Make Healthy Easy she shares real life strategies for better health and doable and delicious recipes. As a MHE reader you can breathe a sigh of relief knowing your daily health struggles are normal. You’ll also get a little dose of family and football through the eyes of our Friday Night Lights life. Katie Kimball has shared her journey to real food and natural living for almost 8 years at Kitchen Stewardship, a blog that encourages moms to keep their families healthy without going crazy. 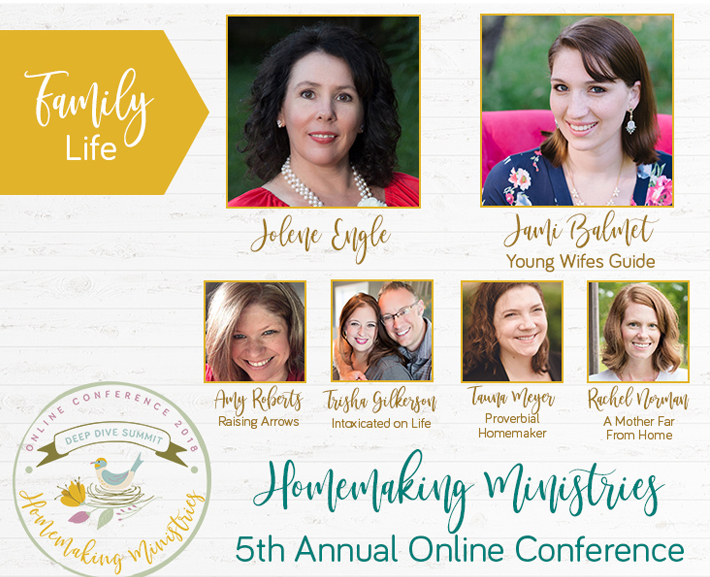 Young Wife’s Guide exists to encourage and equip Christian homemakers to form Gospel-Centered Homes. 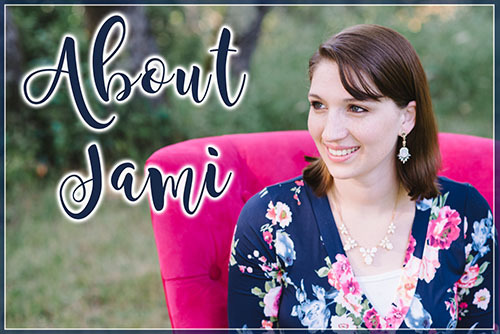 Jami Balmet shares about her own struggles with running and managing a home and hopes to provide Biblical resources for the struggling homemaker. Visit Gwen’s Nest and discover simple home remedies, in depth holistic health articles, healthy recipes, & Gwen’s health & weight loss discoveries. Come meet Gwen, and enjoy the funny, holistic, and friendly-efficient way of life in her nest! Keeper of the Home is a resource and community for women and families in all seasons of life who are striving to be healthy – body, mind, and soul. It covers a wide range of topics from healthy recipes, cleaning practices and self-care. Our inspiration begins with our faith. Stewardship inspires the way that we approach our homemaking. In fact, it’s the foundation of what you’ll find when you pull up a chair, grab a mug of something delicious, and come share this journey with us! The Nourishing Home provides family-friendly, gluten-free, whole food recipes; free weekly whole food meal plans; helpful cooking tips and techniques; and lots of encouragement to help you in your journey to live a more nourished life. The Realistic Mama is all about family, how to spend more time with your family, activities you can do with your kids, how to create an online business that benefits your family, and more! You’ll find everything from saving money, parenting tips, kids activities, easy recipes, and DIY to online entrepreneur ideas, and more! Our tribe of moms and family-oriented entrepreneurs is one-of-a-kind. The connection, transparency, and trust are just a few of our favorite things about our community! Nourishing Joy is dedicated to real food and natural living. We’re on a mission to equip and inspire busy parents with the tools to make intentional, thoughtful decisions easy. Or at least easier. Thanks for the opportunity to win some of these great things! What lovely treats, thank you!